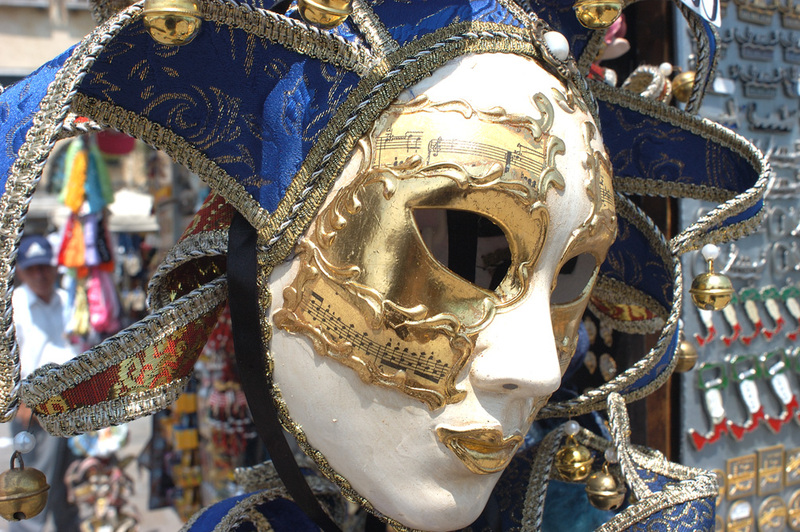 The Venice of the mind is an apparition of remarkable complexity. Darkly foreboding laneways forever shaded from the sun, canals silently traversed by sinuous gondoliers. It’s all that such illusions imply, long reflected in literature and film. The pomaded ascetic Aschenbach beguiled by Tadzio’s lustrous youth in Death In Venice, the murky compulsions of grief magnified by the harsh winter in Don’t Look Now. The reality, as in many things, is far different. At the height of the summer season, Venice holds little mystery, just a still oppressive heat, the breathless crush of tourists and a city trying its best to function under the countless pressures that have tested its resolve for hundreds of years. All of Venice is a museum, made more remarkable in that it’s a living city that has grown across 117 islands dotted on a lagoon on the edge of the Adriatic Sea. It was home to Casanova and Marco Polo (one was an explorer of bold and adventuresome ways, the other went to China) and beguiled Lord Byron, Ezra Pound and countless others. Venice is impossible to forget and even harder to ignore. It’s a wondrous place, a curiosity that, for the romantic, builds into an obsession and defies any attempt to remove it. Visit once and you’ll be forever drawn back. You can’t ever hope to understand it; simply let its eccentricities lead you where it may. Invariably, that will be to the canals of Venice and it’s where most tourists get their introduction to the city’s unique way of life. The vaporetti or water buses are the preferred mode of transport, as traditional a way of life as the yellow cabs of New York, the red double-decker buses of London or the jeepneys of Manila. Through most of the day and night, they work the water, travelling where most visitors need to go. A single fare is around €6 but the best value is in multi-use passes that allow unlimited trips from 12 hours (€16) through to seven days (€50). The Grand Canal, that extends four kilometres from outside the Santa Lucia railway station in the north-west to near St Mark’s Square, passes stoically elegant palazzos and stolid fondaco or merchants’ warehouse-residences. Along the way, there will be every evocation of Venetian architecture, from Byzantine, Gothic and Renaissance through to Baroque and Neoclassical. Mid-way along the Grand Canal is the Rialto Bridge, built in the early 1590s and designed by Antonio da Ponte; his nephew, Antonio Contino, who worked with da Ponte on construction of the Rialto, designed the famed Bridge of Sighs. On the shore fronting St Mark’s Square, it’s possible to watch one of the more disturbing sights of Venice when enormous cruise ships work their way up the Giudecca Canal to their moorings at San Basilio Pier or the Marittima Basin. 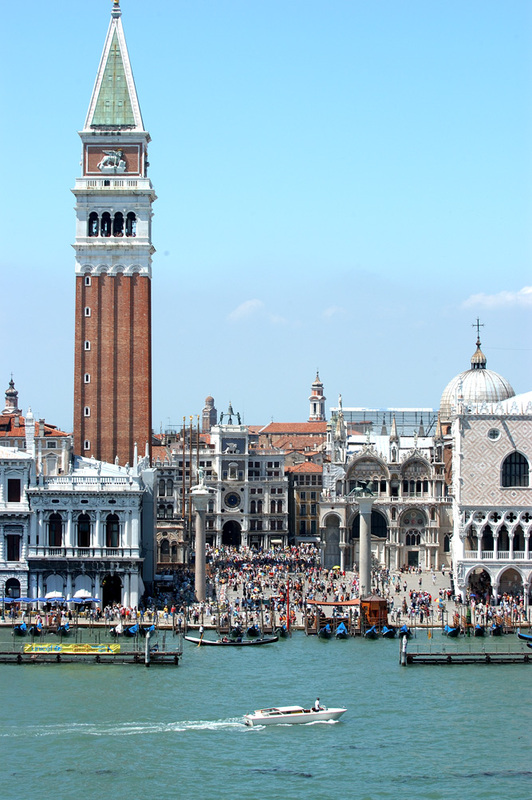 Venice is one of the busiest cruise destinations in the region, with upwards of 500 departures annually. These massive beasts dwarf the human scale of Venice, scattering vaporetti, private water taxis and gondolas and presenting an image of a disaster just waiting to happen. The area around the Piazza San Marco or St Mark’s Square is tourist trap central but it’s something to which every visitor should acquiesce. While a gondola ride may seem cheesy, it’s a required experience; in value-for-money terms, however, it rates with the Caffe Florian, where a coffee will set you back the price of a small Japanese car. 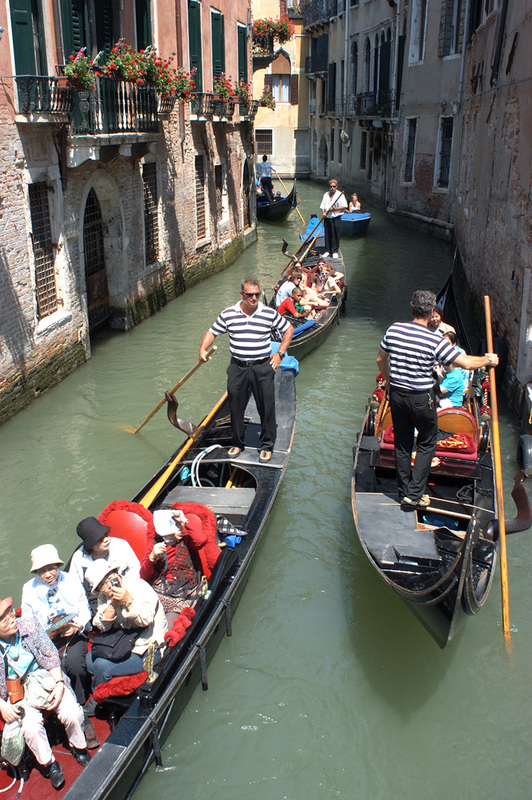 But it’s worthwhile just for the photo opportunities and the knowledge that you’ve experienced the Venice of legend. The other must-dos include a bellini cocktail at the Hotel Cipriani on Giudecca, the lozenge-shaped island across from the Piazza, and a relaxed wander through the Palazzo Venier dei Leoni on the Grand Canal, where heiress Peggy Guggenheim amassed such a startlingly extensive collection of early 20th century art. Add to that, a day or three getting lost within the labyrinth of narrow alleyways, where tiny churches and historic palaces co-exist with Venetians going about their everyday life, and the city will have exerted a magical, adamantine charm. And you’ll be communing with the ghosts of Casanova, Titian, Truman Capote, Hemingway and thousands of others who have fallen in love with Venice. Oh, how you make me yearn for travel. Your descriptions of the cities and your experiences are so descriptive as to almost take me there…if only! You have certainly captured the moody reality of this city. Greatly admire the details you have selected to paint the city in print. The photographs are also spectacular. Thanks, great work. David T.
Hey, David – thanks for your comments. Greatly appreciated. Hope you’re keeping well. One of your best ever pieces. Great mix of colloquial language and evocative description makes for such an enjoyable tone = your voice. Thanks, Alice. Always a pleasure to hear from you.